Distances are calculated in a straight line and may not reflect actual travel distance. It is important to note that this mortgage calculator is for guidance purposes only. Mortgage lenders have their own affordability criteria therefore it is important you speak to one of our Mortgage Advisers for further information and a more accurate indication of what products may be available to you and what your monthly mortgage payments are likely to be. 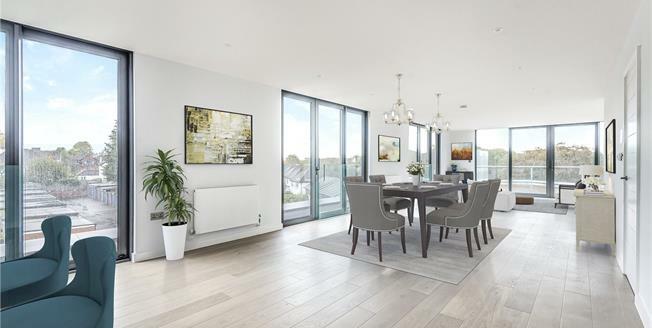 The Albemarle is a luxurious development of nine apartments seven two Bedroom apartments, one three bedroom garden apartment and one three bedroom penthouse. Each carefully designed and spacious home benefits from allocated parking for the vehicles and bicycles and most have either a balcony, terrace or garden. The development is fully landscaped to reflect the neighbourhood which has a history of award winning planting.